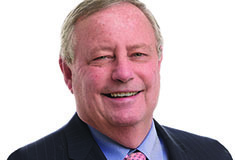 Canandaigua, NY Baldwin Real Estate Development Corp., a Rochester-based DiMarco Group company, has broken ground on the newest apartment community in the area. 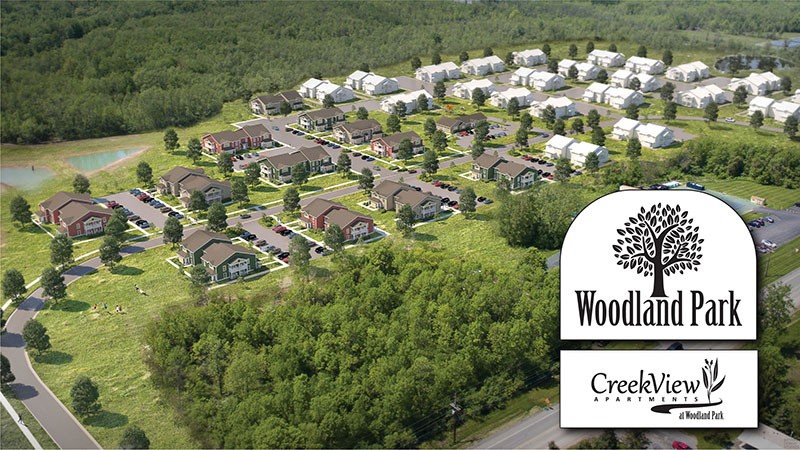 Located on a 30-acre parcel, CreekView Apartments at Woodland Park is the first phase of a multifamily affordable housing community that will provide homes for 96 families. The developers will complete the first buildings of this $19 million project this fall. The project will have a clubhouse that features a leasing center, community room, fitness center, computer lab and centrally located laundry facility. The beautiful park-like setting will be entwined with walking trails, picnic areas and a large playground for families. CreekView Apartments will be well appointed with energy efficient appliances, heating and air conditioning equipment, washer and dryer hook-ups, resident storage, mini blinds, walk-in closets and much more. Some apartments will have accessibility design features for the convenience of persons with disabilities. All apartment buildings will use Passive House Institute US (PHIUS) construction techniques—the most robust and rigorous energy efficient and green building standards in the nation. Passive House buildings provide residents with superior comfort, air quality and reduced energy consumption.